At Coin Sutra we have focused on getting you to understand the concept of Bitcoin better before you delve into it deeper. This article brings you a few more resources to learn about Bitcoin. To be truly able to pick-up a concept, one needs to immerse themselves into the idea through various sources. It’s very important to be able to understand the basics and also keep updated with the latest news. We’ve broken down the resources into different segments. 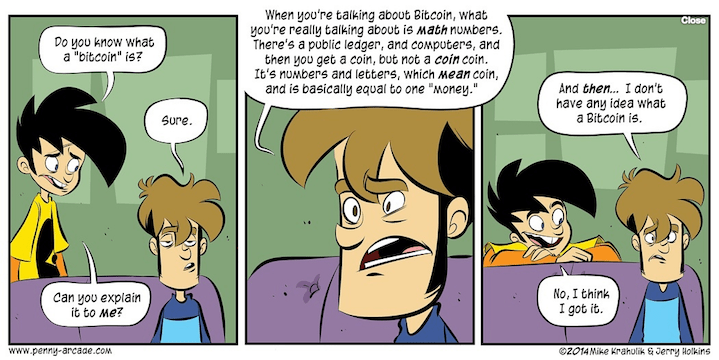 Let’ look at some of the finest resources on the web to learn everything about Bitcoin. Here are some free courses to get you started. Coin Desk is a major Bitcoin only blog. It focuses on News, Prices, Charts and Analysis even. It is like one of those stock market blogs but only for Bitcoin. The news will keep you updated about what’s happening in the Bitcoin world, how popular Bitcoin is getting. Apart from the News, they also do an analysis on Bitcoin regarding the price, blockchain and other aspects. The other aspect of Coin Desk is the research that people have done about the Industry. These research reports go in-depth regarding the technology and the repercussions of Blockchain. This is what you read to identify opportunities. 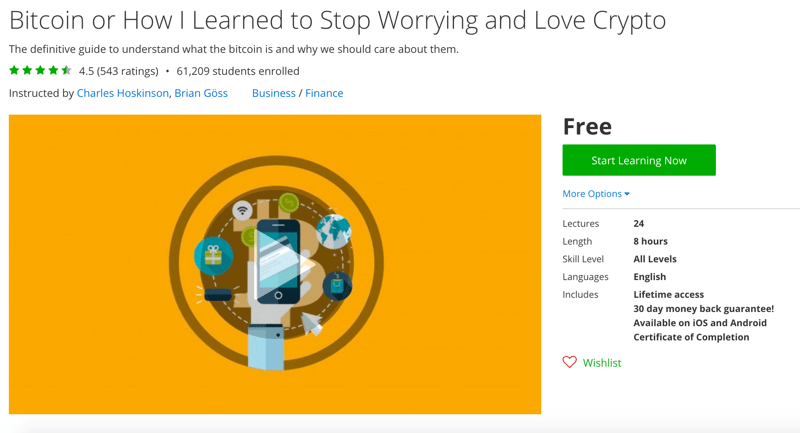 The Bitcoin Magazine is another resource center that just focuses only on articles. They not only talk about Bitcoin and Blockchain but also their effects in other industries. Also updates made to the bitcoin core from Bitcoin developers. These updates will help you keep updated with the happening in Bitcoin. Blockchain Stats is a website that spews out the real time price of Bitcoin. It also displays a chart of the historic bitcoin prices over the last 24 hours and throughout the past year as well. It also gives a bigger picture overview of the Bitcoin Industry that provides you information on various factors such as the ‘Total Miners Revenue’ that tells you how much money the miners have made in USD. It’s an elegant website to give you the bigger picture information you need. For those of you who prefer books to courses. Here’s Mastering Bitcoin. This is a massive resource on Bitcoin where they break down each aspect of Bitcoin and explain it in detail. 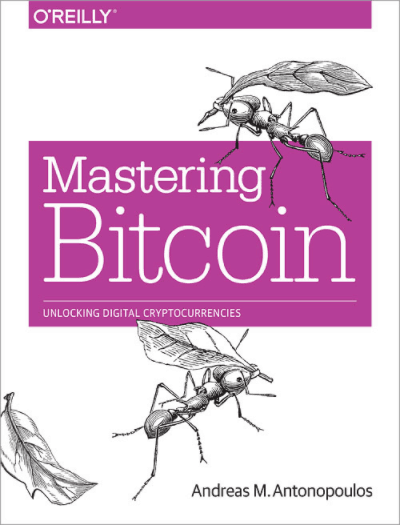 It’s a guarantee to become an expert at Bitcoin after this book. It’s 298 pages of complete information. The E-book actually costs $27, but the online version is free to read, and that is what I’ve linked to. The Bitcoin Wiki is a no-fluff Bitcoin resource that is broken down into several categories such as Myths, FAQ’s and more. When you click on Getting Started you get step-by-step on how to go about with Bitcoin. But if I were you and wanted to know about Bitcoin I would just jump straight into the FAQ section which covers the questions that you will ask. Here are some slides that can give you a quick heads up on the Idea of Bitcoin and Blockchain. This is a great resource to understand Blockchain that runs behind Bitcoin. It has a pictorial representation of how Blockchain works; there’s also an introductory video about Blockchain. This is from Ernst & Young and is super informative. Quora is a knowledge platform that simplifies a lot of the concepts, and you can expect the same for Bitcoin. The best part about this resource is newer and newer, answers will crop up that will explain the concept better. The first answer in this post is a great answer to get you started on the basics of Bitcoin. The Reddit Bitcoin community has a Twitter account that talks about the latest updates in the Bitcoin Industry. Obviously, all the tweets aren’t about learning, but you get an Idea of how the world is reacting to the Cryptocurrency. Here is a bookmark of all the best reddit channels related to Bitcoin. The Let’s Talk Bitcoin is a cryptocurrency podcast that covers the entire Industry. Some of the podcasts are very technical while some of them are simple and easy to understand. They do have podcasts that do a Q&A. The Bitcoin Knowledge Podcast is a podcast that covers Bitcoin, Fintech, and Blockchain. They interview the best people in the business in these topics. This is a must listen to get the low down on Industry happening straight from the people who are impacting the industry. There was a collection of our resources for Bitcoin. A thorough reading of this information will not only make you strengthen the basics but also puts you in the intermediate knowledge level! There was a collection of our resources for Bitcoin. A thorough reading of this information will not only make you strengthen the basics, but also puts you in the intermediate knowledge level! Can share the link to that resource. Would appreciate that!